Do you need a last minute gift idea (or a few)? Let me help! I am not typically a DIY kind of gal for gifts. I think some of my creative energy drained a few kiddos back. I love to share fun crafts and activities here, sure, but I make sure they are easy and require little creative brain power. So, when I tell you that these gifts are great, I mean it. I am thrilled to be giving them and happy to have made them. All but one of these gifts are for individuals, but one is a terrific little family gift. My bil is a tough cookie. He prefers techy items, but those aren’t in our budget. When I saw this, though, I was happy! He plays golf with my nephew as a bonding activity, so this fits the bill. 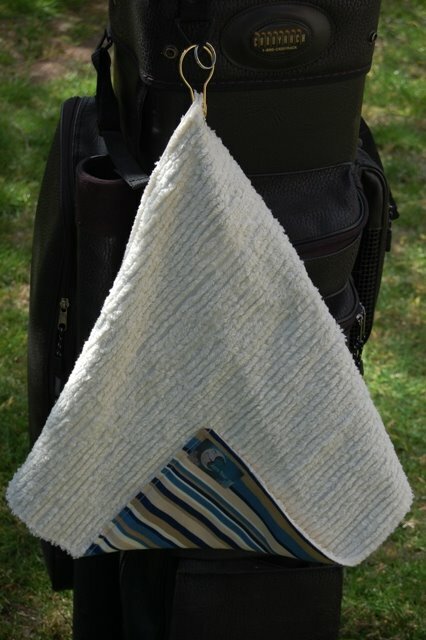 It’s a golf towel. Don’t know what a golf towel is for? Neither did I. Turns out, guys need to wipe their hands or the golf ball every once in awhile. This has a pocket for dropping the ball in and wiping. It was super easy to make. Link for directions here (photo credit to June also: my photos didn’t show the towel in it’s setting). This is my second favorite item. Are you a fan of marshmallow shooters? Well, this is another great gift like that. 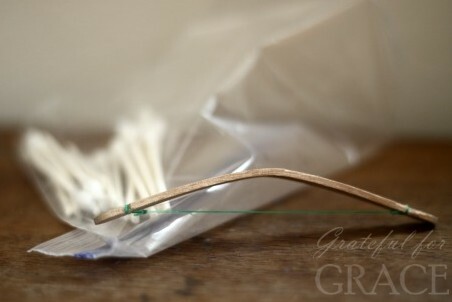 How fun would it be to shoot Q-tips around the house with your very own little bow? Tons of fun!! You really can’t get much cheaper than Q-tips, Popsicle sticks, and dental floss, plus you’ll be the hit of your friends if you give these. Pretty much, all our IRL family friends are getting these because I think family Q-tip battles sound hilarious and memorable. An added bonus is that they would be fun for long road trips (add this to my other recs: #1 rec here and #2 here) . Most women love spa treatments of all kinds. Scrubs are all the rage. You can make all natural and fabulous scrubs right at home for much less money than buying them. 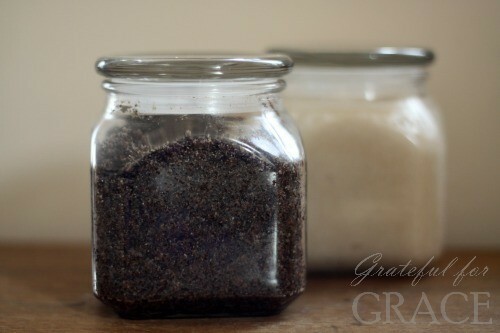 There are tons of recipes online for making these (just google DIY salt scrub) and cute jars almost anywhere. I loved the idea of a coffee one because it’s different and the benefits of coffee add to the gift. This is my favorite item. 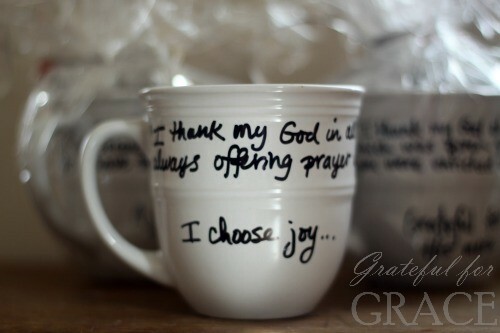 You can personalize a solid white/cream coffee mug! It’s super duper easy and just as cute. I love personalized gift ideas and this was simply beyond words for this year. I have been inducted into hot drinks by my NM friends and wanted to give them something related. Thank Pinterest for this one too!! All of these gifts take thirty minutes or less to make, cost less six dollars or less, and are unique: perfect last minute, DIY gifts! You could buy the materials and make them today in record setting times. That is what easy and last minute mean to me, but when they are great, perfection! Not only can these help you for any last minute gifts you need, but these are terrific to make with the kids for people. I had the kids sign their names on one for their grandpas. It’s precious. Next post: Merry Christmas, from My Home to Yours!